This stately Queen Anne style mansion has enjoyed both public and private roles in the history of Montana and its capital city. The history of the mansion is as much a history of the people who resided here as it is of a building. Montana's Original Governor's Mansion, built in 1888 by Helena entrepreneur William Chessman as a symbol of his wealth and influence throughout the Helena community. The next two owners, the Larsons and the Conrads, continued the pattern of affluent living. In 1913 the State of Montana acquired this handsome brick mansion as the first official governor's residence for nearly half a century. Between 1913 and 1959, it was home to nine Montana governors and their families. It is now open for tours and is administered by the Montana Historical Society. Guided tours hourly. Group tours by reservation only. May 15 - September 15: Tuesday - Saturday, at noon, 1 pm, 2 pm, & 3 pm. Closed Sundays, Mondays and holidays. September 16 - May 14: Saturdays only, noon, 1 pm, 2 pm, & 3 pm. Closed holidays. Admission is $4.00 for adults, $1.00 for children and max. $10.00 per family. 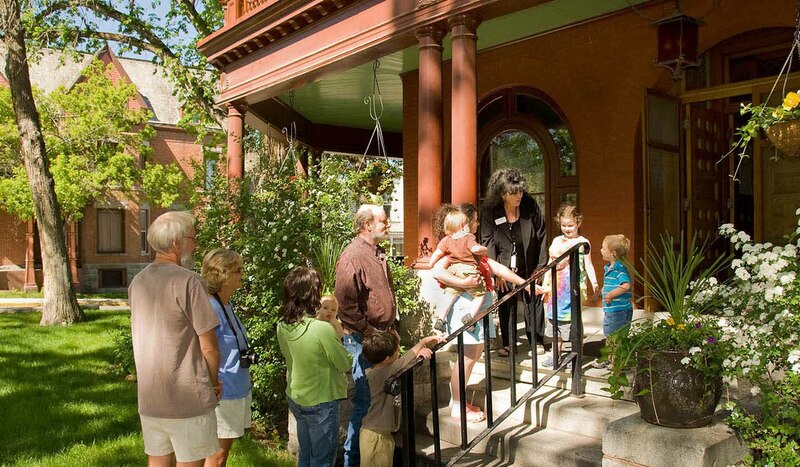 Discount combo admission for Montana's Museum and Original Governor's Mansion is offered. Summer (May 15-Sept 15): Tuesday-Saturday - tours at noon, 1pm, 2pm, & 3pm. Closed Sundays, Mondays & Holidays. Winter (Sept 16 - May 14): Tours on Saturday only at noon, 1pm, 2 pm, & 3 pm. Closed Holidays. The Original Governor's Mansion is located at 304 N Ewing, on the corner of Ewing and 6th Avenue, one block east of Last Chance Gulch, near downtown Helena.